Peak Safety provides training solutions on a global scale. If you need to get certified to expand your skills or you need job specific training, you have come to the right place. Peak Safety allows you to take online courses when and where you want! Over 150 courses to choose from. Start your training now! 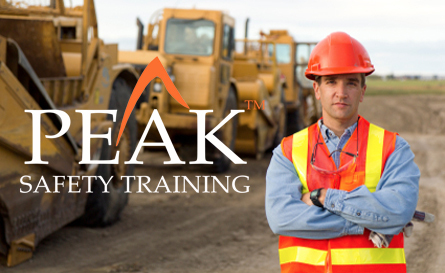 Peak Safety is a leader in online training, get certified today! Browse our list of online courses, once you find the one that is right for you, you can instantly register and start learning in a few minutes! At Peak Safety Training you can get certified on your own time, learn at your pace, and get the skills that you need today! Browse courses on our online training center, signing up is simple, just register and purchase any course that you would like to enroll in. Safety Training When & Where You Want It! My team needed training fast, I bought all the courses from peak safety, and everyone did the course from home! It was so fast and simple to do! I think it is awesome that you guys offer training online, I have been looking for someone to keep my team aware of fall protection, and your courses help keep us in compliance with local regulations! Thank you so much!